Hey dollies, I'm back with another blog post! I am trying to blog as much as possible since I will be back in college next week, I am actually so excited! Today's blog post is focused on beauty products that can get the job done but still won't leave you broke. I know there's a few of you out there like myself that are currently unemployed. But that doesn't mean we can't treat ourselves right? 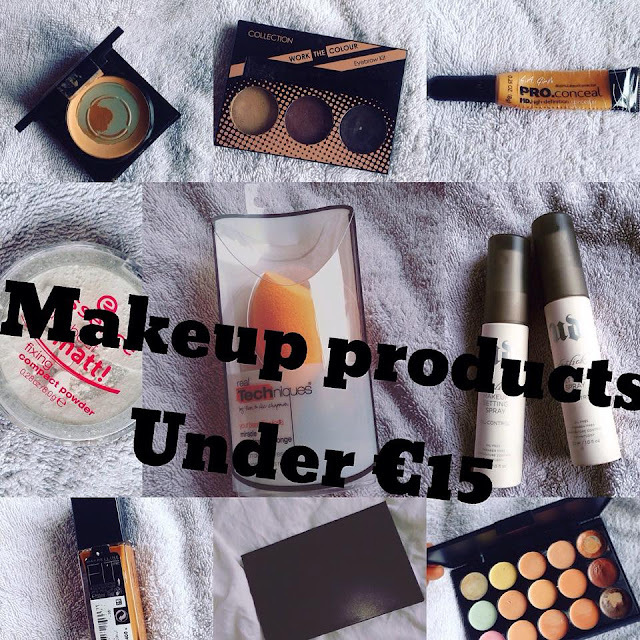 If you wanna find out more about these products that are affordable and will still have you looking flawless, keep on reading this post! I’m sure you’ve probably heard of this sponge before or may even know a few ladies that would use it. I love this sponge as it is a 3-in-1 sponge. You can use the flat end of the sponge to blend the concealer underneath your eyes, your nose and to blend your contour. The slides of the brush can be used for blending your foundation and the tip can be used to cover your imperfections. You can use this sponge damp or dry, I prefer to use it damp as it gives a flawless look and it makes the application process so much easier! I've watched makeup tutorials where the youtuber would use only this sponge for applying all their makeup, excluding eyeshadow of course. 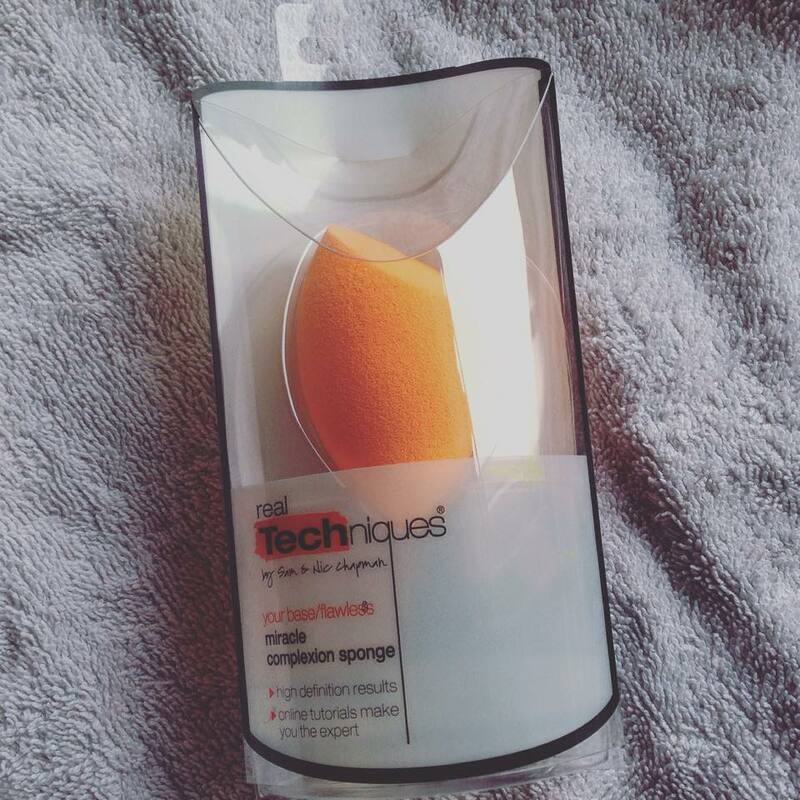 So there you go rather than spending extra on multiple brushes, pick up this sponge instead! I love this foundation! 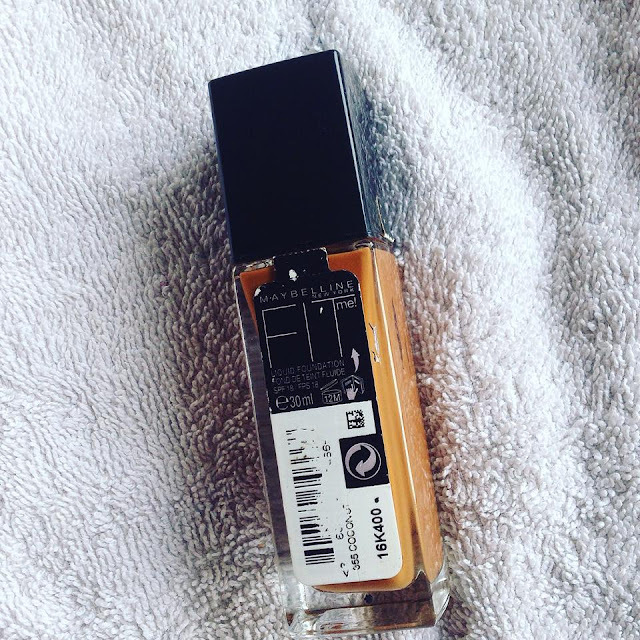 I am actually gutted that every time I go to repurchase it, they never seem to have my shade! This was the second foundation I ever tried and I swear the minute I applied it on, I fell in love. The colour matched my skin tone perfectly, it lasted for a good amount of time and it also gave me a natural finish look! I have no complaint about this foundation, I would repurchase about five of it if I could find anywhere that has my shade again! 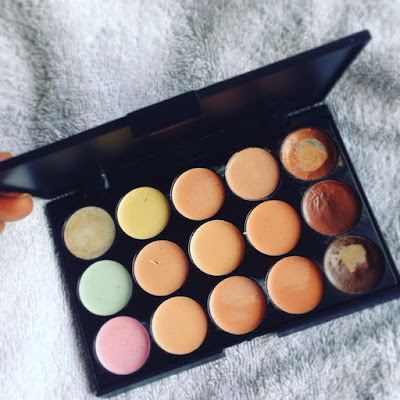 I mentioned this concealer in my first blog – Must have makeup products. The main thing I love about this concealer is the shade range. You can find any suitable shade for you skin tone! 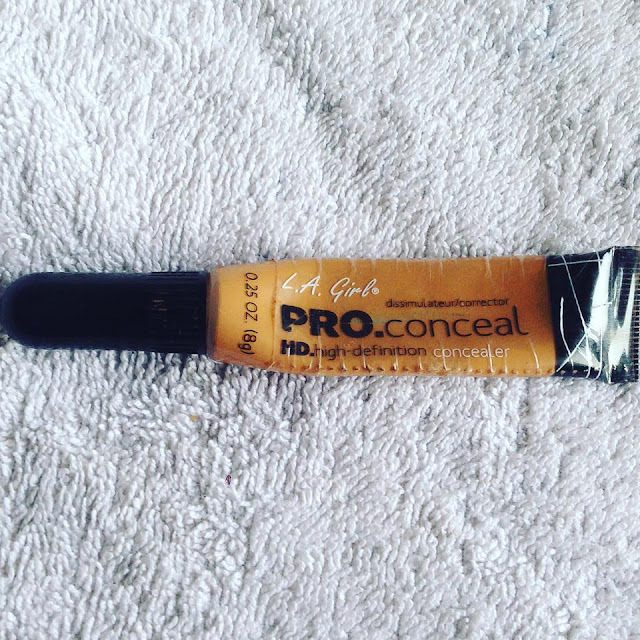 The concealer has medium to full coverage and it also applies on smoothly. It’s perfect for highlighting underneath your eyes, your forehead, the bridge of your nose and it also hides the darkness underneath your eyes. I am not sure you can find them in any store in Ireland, but they do have them online on http://goo.gl/5DKoJp for €2.68, the only downfall is shipping to Ireland is about €18. If you are planning to purchasing this concealer, why not order with a friend and split the pricing of the shipping! As you can see in the picture above, I use this pallet a lot. The palette comes with 15 shades which are perfect for highlighting and contouring. 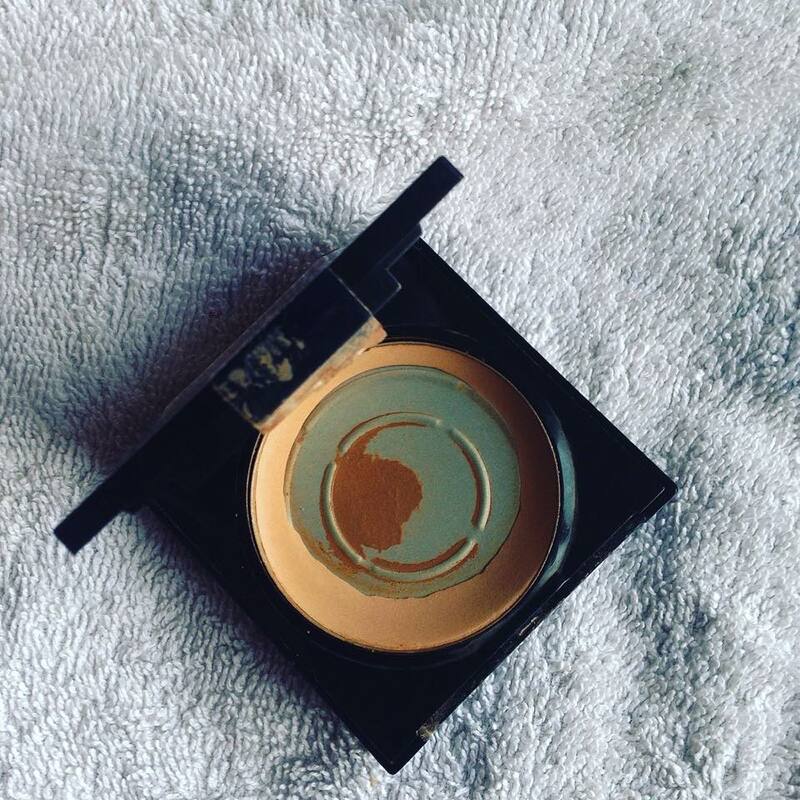 I use the darkest shade to contour my face and the shade above it is what I would use to clean up the top of my brows. 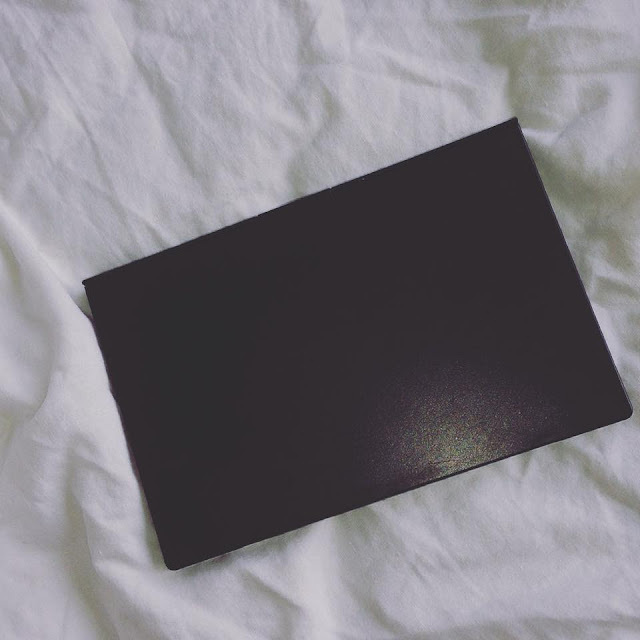 I love the fact that this palette is suitable for all skin tone and it’s not expensive! The shipping to Ireland does take a long time to arrive, you’ve been warned! 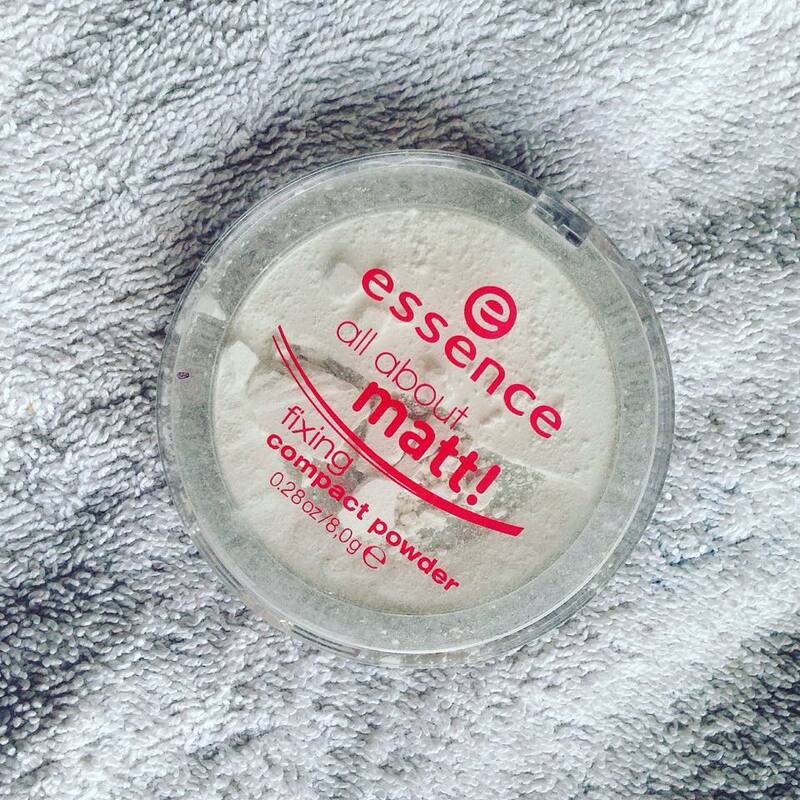 This powder gives you a natural matte finish! 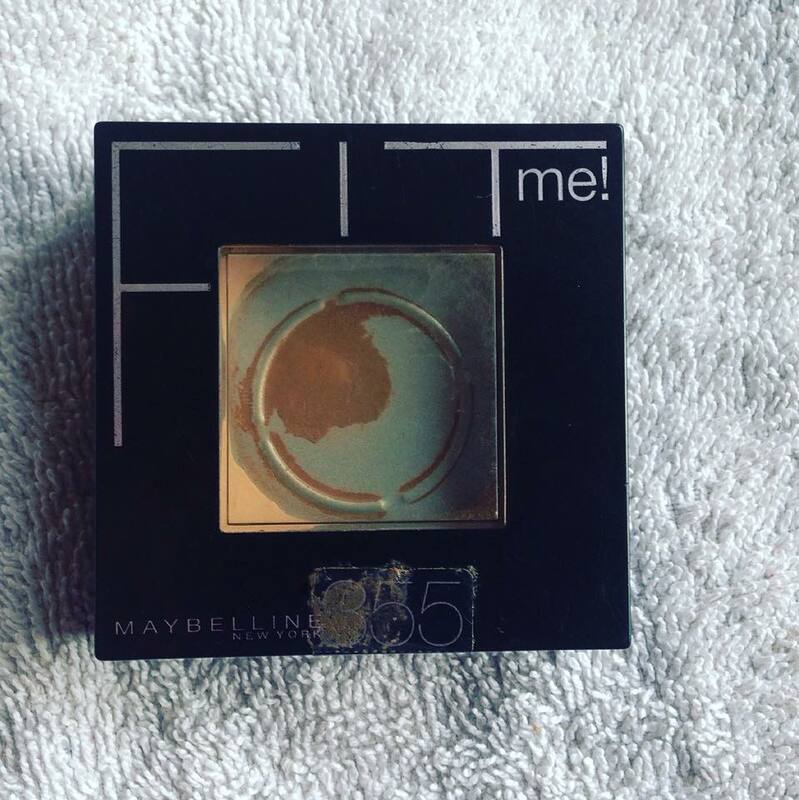 The description I read at the package said it supposed to last all day, but when I tried it I found that I had to keep reapplying it every few hours. This powder is suitable for all skin tones as it is translucent! You do have to be very careful with it as it breaks easily! Mine at the moment is in an awful state. I usually apply this powder underneath my eyes, on the bridge of my nose and my forehead. I usually use this powder to set underneath my eyes, forehead and the bridge of my nose. This powder is flawless, it gives a matte finish and it is buildable! As you can see in the picture above, I use it a lot! The only problem is the availability of shades for darker skin! I need to repurchase as the one I have as almost ran out and I have gotten darker, but my shade is nowhere to be found. Black people wear makeup too! You can find this powder at Boots. I’m not quite sure of the price, but it is around €7. I have never been the type to spend lots of money on eyebrow pencils/kits. 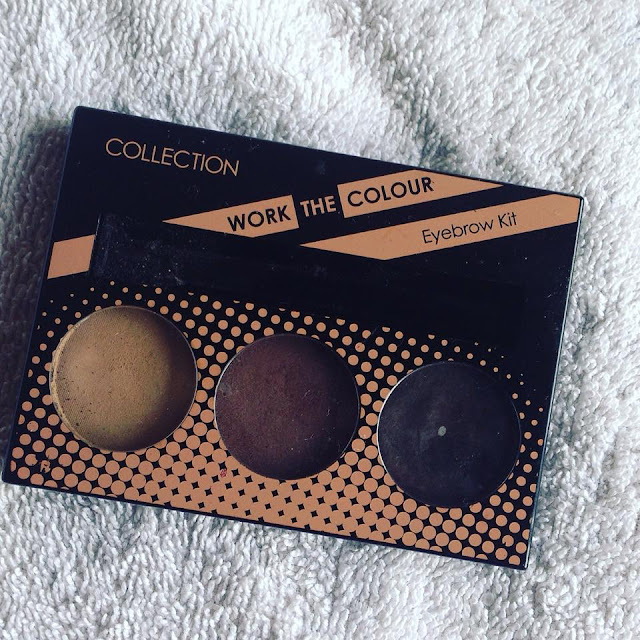 Before I discovered work the colour eyebrow kit, I used to use sleek eyebrow pencil for my brows. 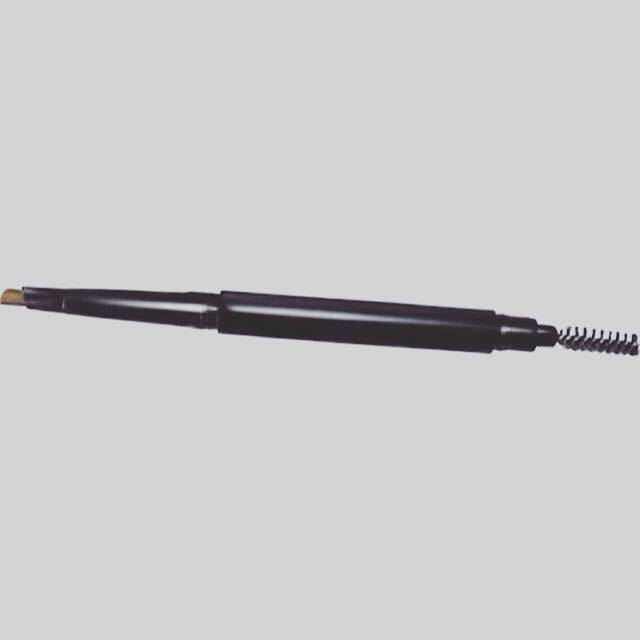 It’s super easy to fill in your brows with this angled pencil. It also comes with a blending brush at the end of the pencil which is really handy. You can purchase this brow pencil in Boots for €7.99, it comes in light, medium, or dark. If you’re like me that prefers to use an eyebrow powder rather than a pencil, you can find this eyebrow kit in Boots for €5.49. The main thing I love about this product is that it last for a long time, it comes with a mini angled brush and a brow gel. There’s three different shades light, medium and almost dark shade in the palette which are really pigmented so you don’t have to apply a lot. I mentioned this setting spray in my previous blog post and I’m sure you know how much this product is my life. 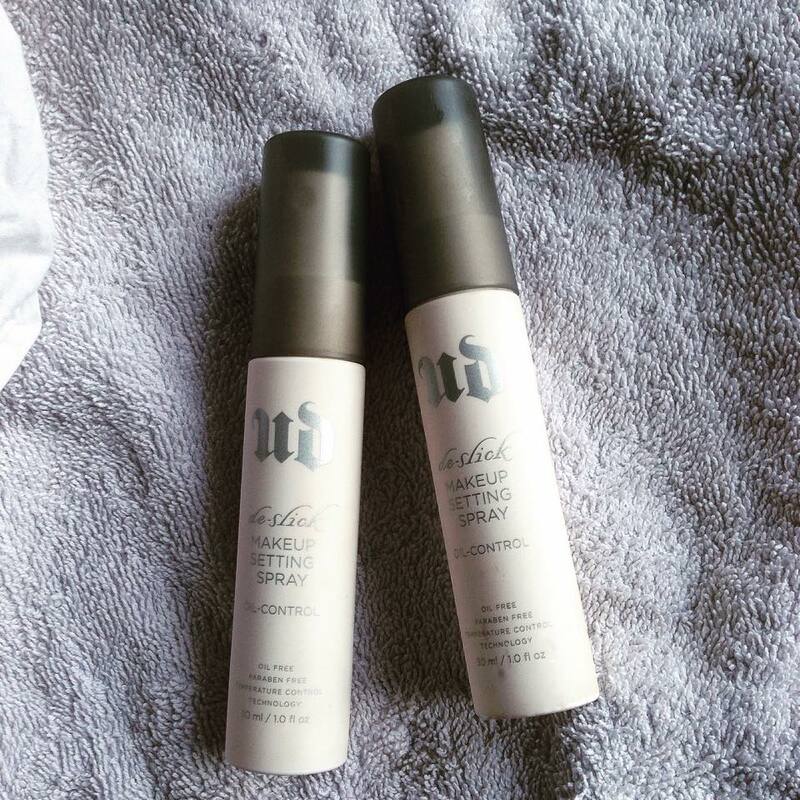 You can purchase the travel size for €12 at Urban Decay in Brown Thomas. It's amazing for setting your makeup in place especially if you've got an oily face and for nights out! Around last year, I went around browsing for a makeup storage that wasn’t too big or too expensive as I didn’t have that much makeup. 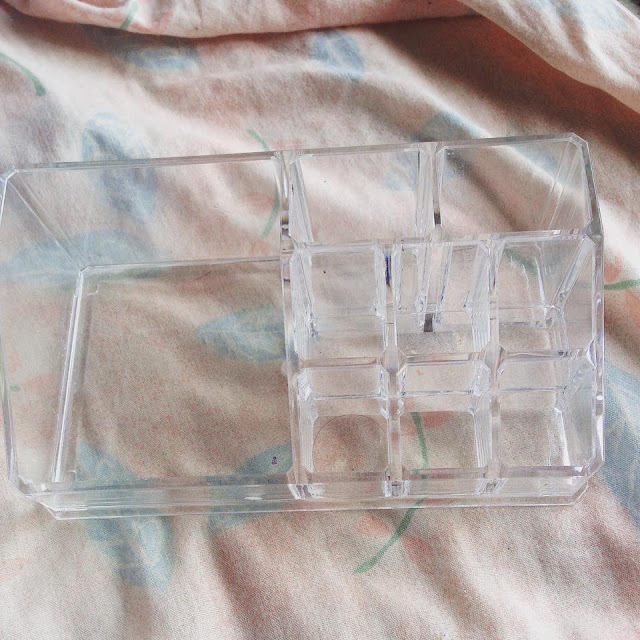 I ended up in the Tiger store close enough to my house and found this makeup organizer for around €3. It does hold a lot of makeup for something so cheap. You can put all your foundation or anything bottled shaped on the left side and on the right side of the storage, there are eight small boxes for you to put your lipsticks, mascaras or brushes. You can find this storage box in any Tiger shop across Ireland. And that brings us to end of this post, I hope you've found this post not only helpful but interesting! If you've got any suggestion on what post you would like to see on this blog, please let me know!